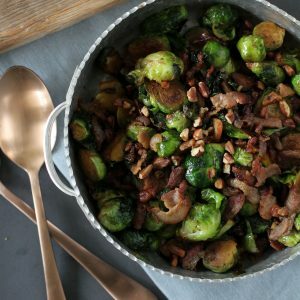 For the final of my Thanksgiving posts this week, I chose a side that couldn’t be easier.. or more fun! The packs make them fun and cute right? 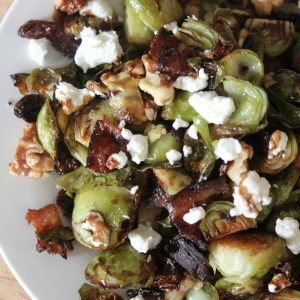 We’ve all seen bacon wrapped asparagus of some variety around but I wanted to take it up a notch and make something that seemed a bit more festive. I’d seen this done before for a summer BBQ but it was smothered in a barbecue sauce. Which is perfect for a summer BBQ, but it didn’t really say “Thanksgiving” to me. I love that they’re cute little packs that are easy to serve at Thanksgiving. It also makes it easier to plan how much to make. One pack per person? And they just seem special. Ohmygodyouguys. It’s taken me an hour to write that ^^. No joke. Writer’s block is in full effect over here this evening. AND the kids are still hollerin’ at me from their bedrooms and hour after I put them to bed. I’ve come to realize it’s just going to be one of those nights and I’m OVER it. I’ve made the executive decision to sit a chill for a bit after a long day. But I promised you a Thanksgiving side and I’m not one to renege on promises so here it is. Enjoy! And oh yeah. 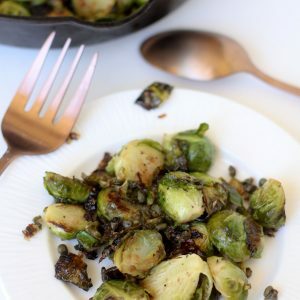 It’s amazing, tastes really good, is easy to prepare ahead of time for the BIG DAY and the lemon sauce is perfect and festive FOR THE BIG DAY! The first picture shows how I placed it into the oven for perfect browning and less mess. The next picture is obviously the final product. A final note… the lemon butter really makes this dish. 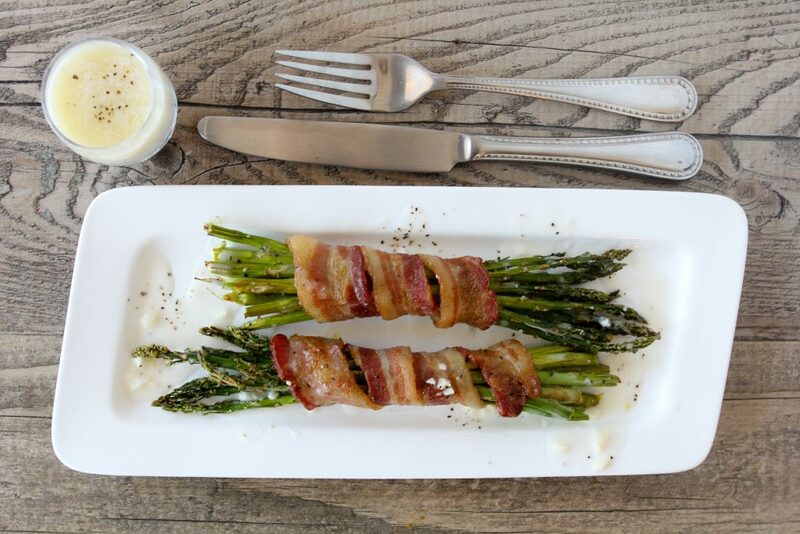 It takes it from regular ‘ol bacon wrapped asparagus to… crazy good bacon wrapped asparagus. And isn’t that what we all want on Thanksgiving? Feel free to substitute ghee in place of butter for a Whole30 compliant or strict paleo dish. Enjoy! 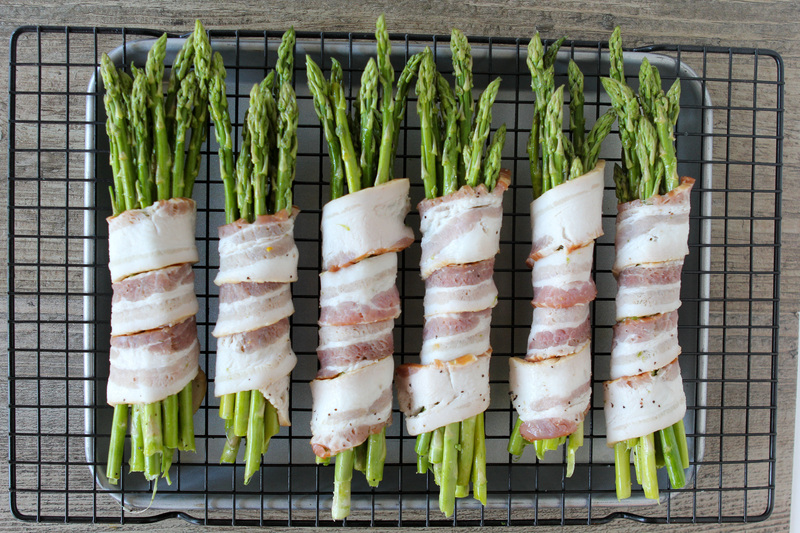 Easy yet fancy looking asparagus dish with bacon.